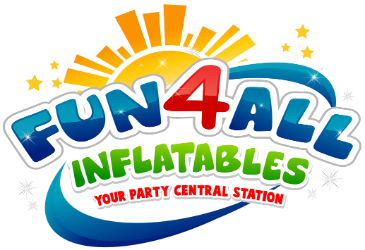 Fun 4 All Inflatables - Event & Party Rentals in Navarre, Gulf Breeze, Fort Walton Beach FL. Big Top Dual Lane Water Slide Combo includes at least of 6 hours of party time. Add on Special - Instant savings when you add any concession machine, table and chairs, and tents to your water slide order. 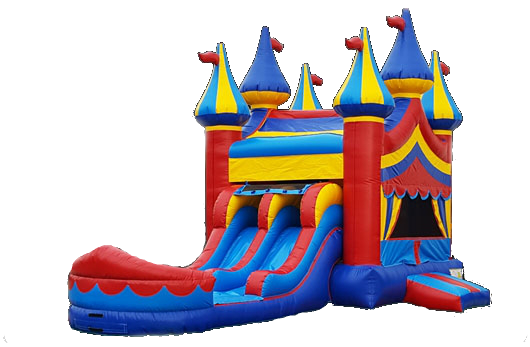 Features - Dual Lane Slides, 13x13 bounce area, basketball goal on the inside, a climbing wall and a water slide with pool landing. Back to all Water Slide Rentals.